Churchill while defining politics and politicians had said that a successful politician was the one who promised moon and stars to his electorate before the elections and after being elected to the power could explain to them as to why he couldn’t do all that he had promised. 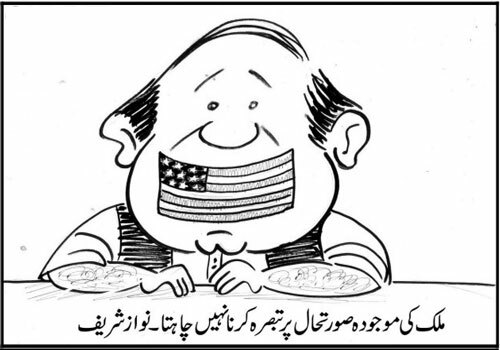 MNS has certainly grown up to qualify for that category of successful politicians. He has so far taken to explain only one issue that of the energy and load shedding as to why it can’t be solved sooner as promised and one would have to wait and see what he will have to say about the other many many ‘moons’ and the ‘stars’ that the Shareef brothers had so enthusiastically promised to the masses – the poor naïve masses who believe in such “successful” politicians who take them time and again for a big ride.